In the past 12 months it’s been fascinating to be involved with many energy companies as they have engaged with drone use cases. Now, I’ll be the first to agree that drones are not being deployed in huge scale across the industry. But that day will come. 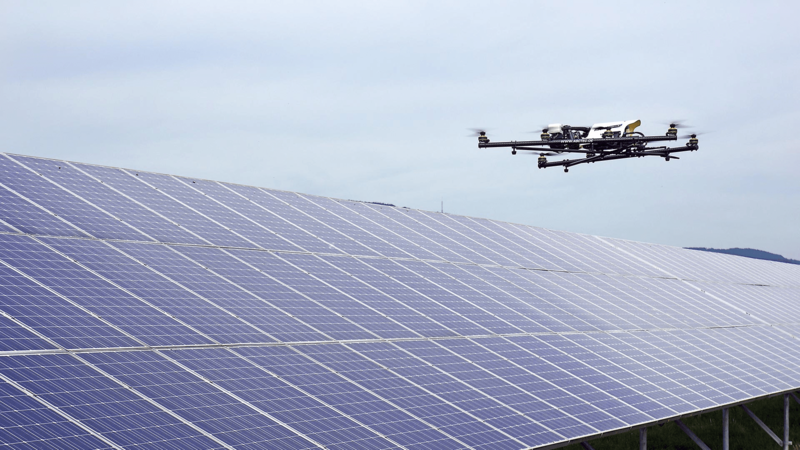 What I have found consistently when talking with any energy company is that some group in that organization is already using drones, and the challenges they face go way beyond what’s written in the general press. They have already covered the basic topics of drone technologies — what sensors to use, automated flight planning, how to process captured data, orthomosiacs, etc. — and are now faced with how to take the information from a drone inspection and automate how it gets actioned upon. For example, some utilities are doing regular inspections of solar farms with infrared sensors, looking for defective panels. Finding a hotspot on a panel via infrared is a sign of a bad panel that needs to be repaired/replaced. Same goes for oil and gas companies — many have been doing drone inspections of oil rigs, flare stacks, etc. for years, and these inspections typically result in a report being generated and sent to the end customer. Now let’s say an inspection has detected a bad solar panel or damaged wind turbine blade. Typically, someone physically looks at the report and manually enters the information into the relevant asset management system and/or maintenance workflow system. If you are doing one drone inspection a week, this may be OK. However, if you are doing 100 inspections a week, this process gets old very fast. For the true value of drone usage to be realized, such manual interventions have to be automated. To do this, the software will have to be able to review the latest inspection report, be it an image or video, and compare it to the last inspection to spot the changes. Then it must be able to “interpret” the change and take appropriate action. Sounds easy, right? It’s not. The ability to detect damage on a wind turbine blade is very different from detecting vegetation growth under a transmission line. In my opinion, the true value of using drones for inspection will only be realized when these capabilities can be deployed easily into existing workflows. That is where technologies such as recognition technologies, artificial intelligence and machine learning come in, but that’s a blog for another day.